A rare opportunity to hear this amazing work performed live. Featuring solo performances from our four French horn players! I first began composing songs in 1978. In 1979 I studied at CAE with the Melbourne composer Felix Weder, and the next year I won a competition run by the Intervarsity Choral Festival with a work for unaccompanied choir and soprano solo. 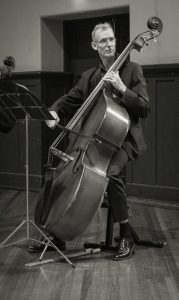 I wrote songs intermittently for the next thirty years while developing my double bass playing. 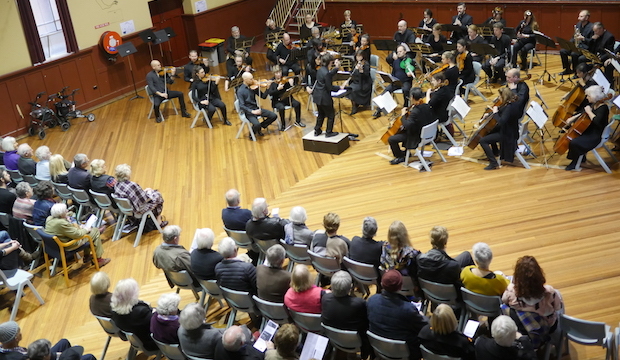 It was not until several years ago that I decided to focus intensively on composing for orchestra, and my first piece for string orchestra was performed at the Harrietville Music Camp in January this year. The title of my piece for this concert may hint at a portrayal of nature, but this is intended to be metaphorical rather than a literal depiction. For me, composing will always be about self-searching and the full gamut of human emotion. Hübler concerto for four horns. 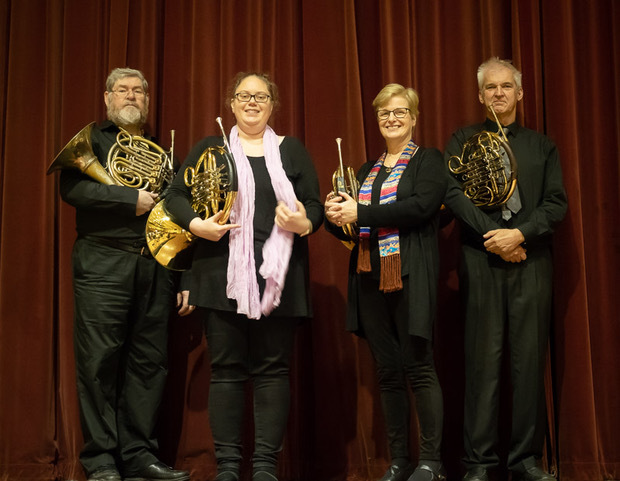 This bright piece of music is one of the best-known showcases for the French horn, and will be of interest to students of the French horn, or indeed students of any brass instrument! Carl Heinrich Hübler was born 1822 in Wachwitz near Dresden, and was the hornist in the Dresden Royal Court orchestra from 1844 until his retirement in 1891. He was appointed as royal chamber musician in 1851, and in 1886 was awarded the title ‘chamber virtuoso’. In October 1849 Hübler played in a private performance of Robert Schumann’s Konzertstück for four horns and orchestra (op. 86) with the composer in attendance. This event inspired Hübler to compose his own Konzertstück for four horns and orchestra during 1854-56, and is the primary work for which he is now remembered. Hübler’s concerto is composed of three contrasting movements, Allegro Maestoso, Andante and Vivace. The horns enter with a three chord statement that soon modulates into a minor key. 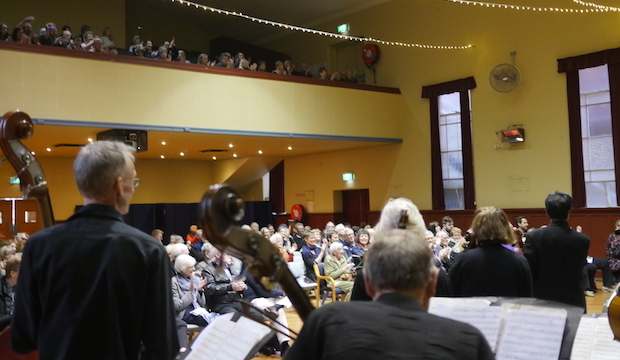 The slow movement commences with a lyrical theme, switching into a minor key to provide a little romantic ‘sturm and drang’, before relaxing back into the lyrical first theme. The final movement allows the horns to return to their hunting horn origins (even calling for hand stopping during a slower passage!) where the solo first horn is joined by the other three. The first three chords then return to conclude the piece. Hübler died on 14th April 1894, in Dresden.